Time for some rant again regarding the lack on details and an UI cluttered with UI disgraces. The collection view display two view variants for "expires" and "ExpirationDate". It displays internal field ids like "ModificationDate" to the user. The list of available fields is completely random or unsorted. 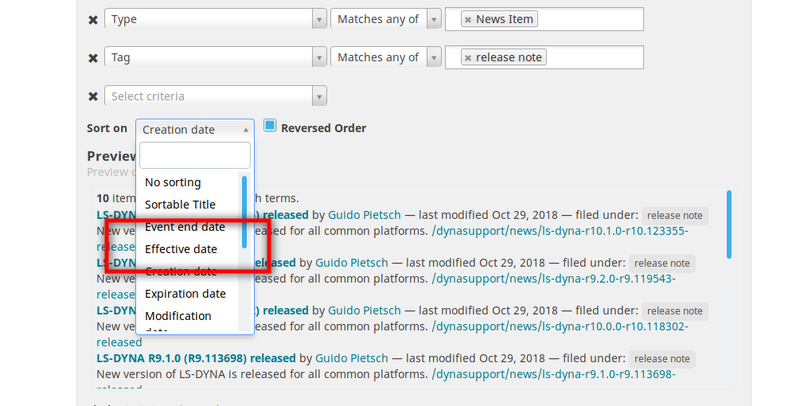 The term "Publication date" shows up as "Effective Date"
Yes with AT there was a mapping from index ids and metata columns to "friendly names" (stored in portal_at) that was lost in the move to dexterity and wasn't replaced by anything. This also affects tabular view of a collection. I think there is an outstanding bug for it somewhere. 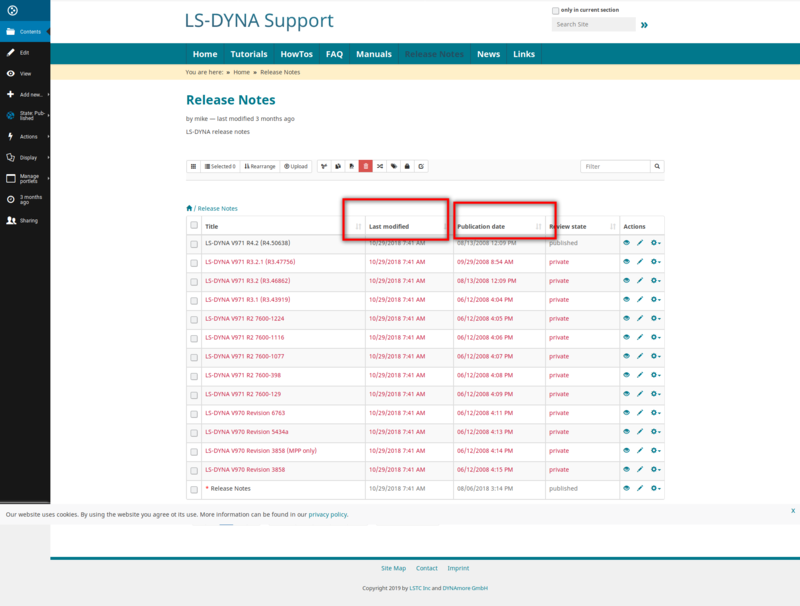 I've recently come across inconsistencies with the various control panel views under site setup. This might be a good topic for a sprint. 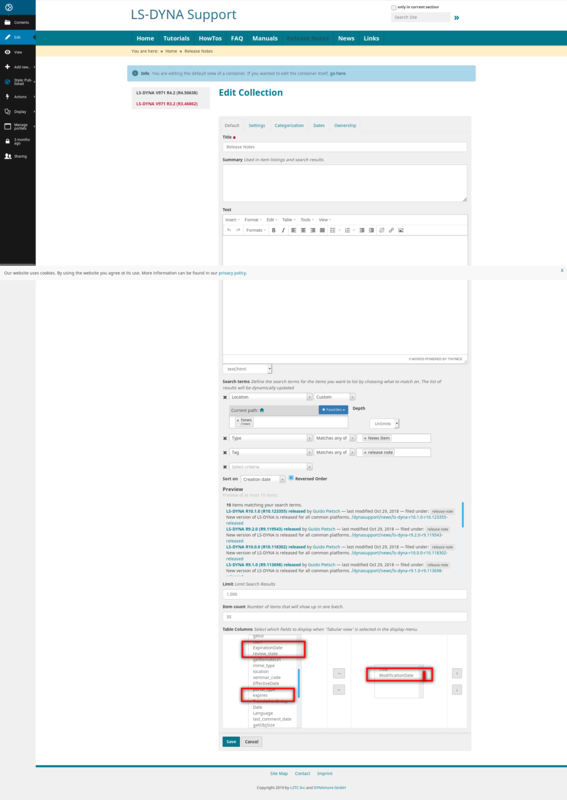 Generally fixing UI inconsistencies and specifically around control panel browser views and inconsistent vocabulary.